still in 1942, but this time in Barsetshire and the War is everywhere. It's a very different atmosphere to George Bellairs 'Death of a Busybody' where he ignored it as far as possible. As ever with Angela Thirkell reading her books once is not enough (I'm very grateful for the Internet and the access it gives me to the Angela Thirkell society's guides go her novels. Invaluable for chasing down references.) there's so much detail that a lot of it will always slip past me first read round. That's partly because the first time I read these books I'm sort of concentrating on the plot, such as it is, and trying to keep everybody's relationships, names, and children straight. After that it's Thirkell's rather malicious humour as she digs her pen into people or types that annoy her. And then there's her insiders view of an upper middle class world under increasing threat. 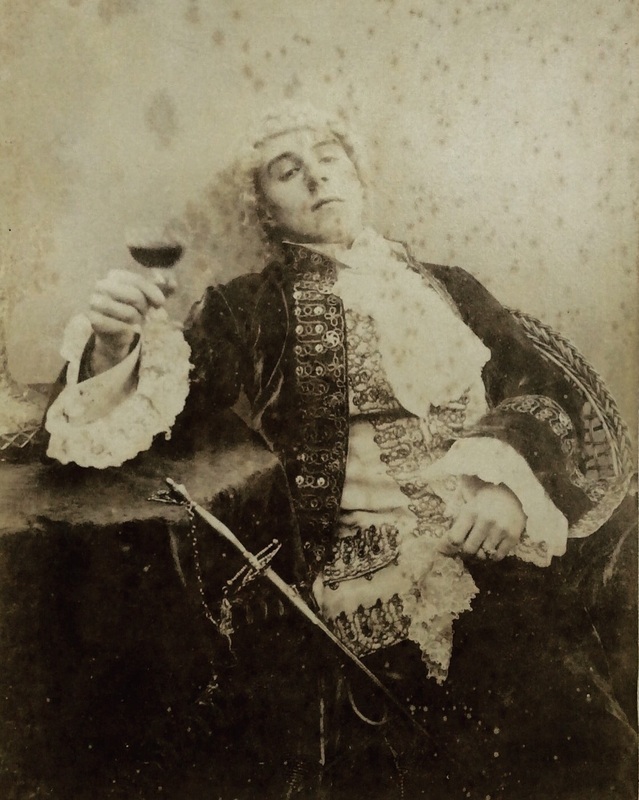 'Marling Hall' opens with William Marling, squire of Marling Hall, a man in late middle age contemplating 'his small and much loved world crumbling beneath his feet during his life and a fair probability that his family will never be able to live in Marling Hall after his death.' Regardless of how you might feel about class, this is a sad reflection - it's not the relative luxury, but the personal history, and the pride in being able to pass something beloved on to the next generation that's being threatened. Knowing the number of country houses that were demolished post war (see Here for more), some of them of real architectural significance, it isn't unlikely that Marling Hall would have been raised to the ground. I don't know if Thirkell had any inkling if the scale of the destruction that would come with peace when she wrote this, but it lends a considerable pathos to her defence of old county ways. There's a lot about the county set in 'Marling Hall' and I will admit that I'm feeling faintly nostalgic for my memories of what that meant when I was a child. 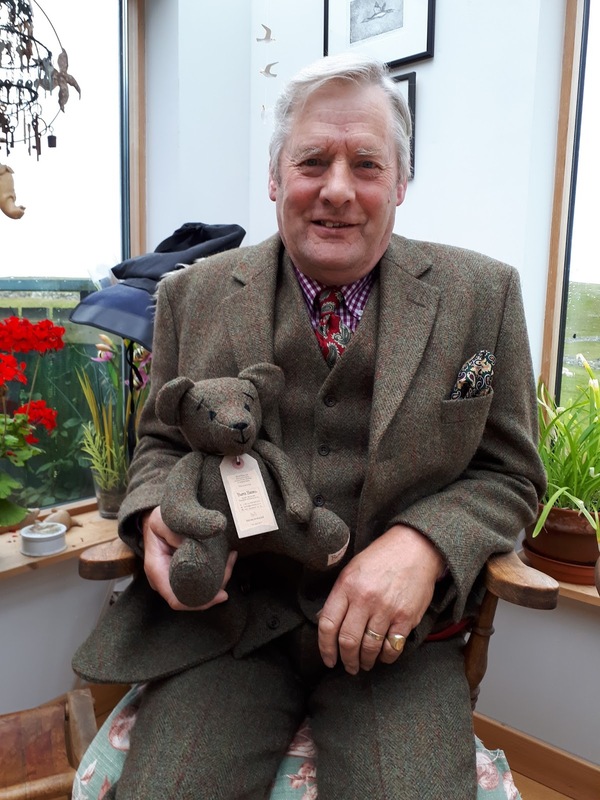 Men in tweed suits that they quite possibly had made before the war, or that may even have belonged to their fathers before them and frankly intimidating women with pearls who looked capable of just about anything, mostly encountered at the local agricultural show. They would have been the generation that Thirkell is writing about here - something I hadn't really considered before, but is probably another reason I like her books (without wanting to live in one). Something else I found particularly interesting in 'Marling Hall' is the focus in child rearing. In Thirkell's eyes this means the right kind of nurse/nanny followed by the right kind of governess, before going to the right kind of schools. It's definitely worth noting that her fictional school (Southbridge) seems to be filled with benign, well educated masters, who do not take pleasure in beating boys. Their diet is good, and they get hot water. This is very much at odds with just about any description of private schools I have ever read or heard. The question of whether bringing up children is best left to professionals or parents is an interesting one though, but even more interesting is Thirkell's frank admission through one of her characters that her children are far easier to like because she isn't primarily responsible for their care. She can enjoy them without becoming tired or overwhelmed by them. It's not a point of view that fits with the #blessed Instagram image of motherhood - but it's honest. On the other hand I get the impression that Thirkell would only defend her way of thinking so vehemently if it was under threat not just from outside forces, but from within her own glass/the class she writes about. It turned out that two of the books I took on holiday with me were first published in 1942, and as both were basically always intended as light reading it was particularly interesting to realise how different their respective approaches to current events were. 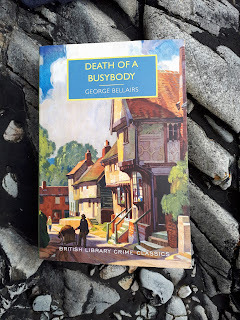 The first book I read was a British Library crime classic (with a particularly lovely cover) - George Bellairs 'Death of a Busybody', the second was Angela Thirkell's 'Marling Hall' which will get its own post. 'Death of a Busybody' was perfect holiday reading, not in the least bit demanding, thoroughly entertaining, mildly funny, and enough underlying tension to give it some oomph. Miss Tither is a middle aged spinster with a prurient interest in her neighbours lives. She's given to spying on them, haranguing them for their sins, or informing their spouses/parents when they stray. It's an unattractive mix that's bound to lead to trouble so it's possible that nobody is very surprised when she turns up dead in the vicars cess pit. The local police are busy with a number of other more or less serious local crimes do Beverly sensibly decide to call in and work amicably with Scotland Yard. Cue the entry of Inspector Littlejohn who's job it is to turn over stones and see what crawls out. The answer to that is much as you'd expect in the way of young people misbehaving with each other, unhappy marriages, and a few who might drink more than they should. There's a missionary nephew who might have something to hide but none of it quite adds up to enough to justify murder - not until the will is read at any rate. As Martin Edwards points out in his introduction, there's nothing particularly original about the plotting or even the device that provides the crucial alibi, but it's done do well that it doesn't matter. What does matter are all the little embellishments that bring the book to life (the body in the cess pit being but knew such detail) and give it a great deal of charm. It's also a noticeably nostalgic book, the war is alluded to (the village taxi has been replaced with a horse and cab due to petrol rationing) but mostly ignored in favour of the things that should be - sunny harvest weather, good food and beer (with plenty to go round), and everybody getting what they deserve in the end (good and bad). It seems likely that that was just as comforting in 1942 as it is in these uncertain times, and probably just as unlikely. Either way it provided me with a very happy afternoons entertainment so I'm thoroughly recommending it. 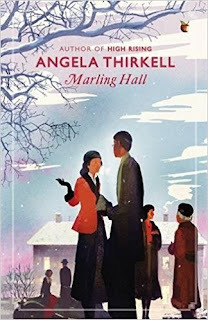 I've had the last lot of Virago Thirkell reprints sitting around since November waiting to be dusted down and read, took 'Marling Hall' on holiday with me, and then thought that I really needed to read 'Cheerfulness Breaks In'. It's a source of real irritation to me that Virago chose to issue this as an ebook only. It means I've had to read it on my phone, which I don't enjoy, and makes it very hard to refer back to when I want to check something, remember it, or write about it. On the plus side it means that it is available to read at a reasonable price. I think I can understand why Virago went down the ebook route as well. Plot wise it's not perhaps Thirkell's best, it's hard to work out/remember what's going on at times as characters from previous books pop in and out (I've not read these books in sequence, and there are so many very similar people then it gets confusing), and this as Thirkell as un PC as I've met her. There's lots of casual racism, anti Semitism, snobbery, and high Tory propaganda. Despite all of that, and maybe because of my own current mood, I found this one particularly moving and relevant. Published in 1940, 'Cheerfulness Breaks In' starts in the summer of 1939 when it's still possible to hope that war might be averted and finishes just after Dunkirk on a shocker of a cliffhanger. In between people get married and engaged, take in evacuees, get involved with work parties and committees, watch the younger men head off into the various forces, worry about if they're doing their bit, and generally dig in for the future. It might not be a perfect book, but it captures a moment and a mood whilst reflecting back prejudices and fears in a way that really got under my skin. Well ordered, comfortably elegant, middle class lives are about to be shattered forever and Thirkell knows it. From the older generation of characters who have fought and lost people in the previous war and are now faced with children or grandchildren facing the same destruction there's a palpable sense of distress. Younger characters can see it as fun, apart perhaps for Lydia Keith who's time s taken up with the mundane but neccesary tasks of caring for her elderly parents, running the family estate so her father and brother can concentrate on other things, and lots of less glamorous committees and voluntary work (work that leaves her smelling of rabbit stew) at an age when she might reasonably have looked forward to parties and fun. Mostly though, it's an elegy to a world that's about to be smashed to pieces and I can't help but feel evident Thirkell's dismay regardless of how I feel about her politics or prejudices. Her point of view may at times feel controversial by contemporary standards, but that doesn't make it any less valid, or important to remember - or even to consider. As ever with Thirkell I know that when I come to re read (please let it be in a paper copy by then) this I'll find much more in it. I don't think I made a bad job of spotting some of her references (I got the Radcliffe Hall/Compton Mackenzie one) but there will be dozens more to spot, and plenty more to consider. One thing I'm definitely considering after reading a couple of her book back to back is the way the title of snob is applied to her. It's in much the same way as with Georgette Heyer, and seems much more pejorative than when applied to say, Nancy Mitford (I'm going to guess that Thirkell might not have considered Mitford quite the thing). I find Thirkell both funnier and more illuminating than Mitford whose affectations can get tiresome and whose characters are hard to care about. 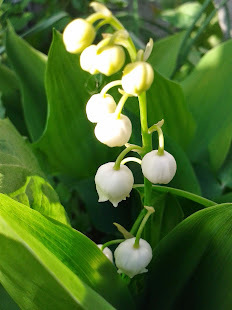 For rather less muddled, and better informed, thoughts on Cheerfulness Breaks In see This from Kate Macdonald. I've spent a lovely day off with my yarn (all sorted and catalogued, now just waiting to become things). It should go into draws or boxes for the duration, but I'm unwilling to take it off the floor at the moment, partly because I like the unexpected colour combinations I find moving it around. That's sort of relevant because the great thing about the Whalsay Fair Isle exhibition was the unexpected colours. It's hard to describe just how unexpected it was, especially for the older garments, but handily there is now a book (currently the only place I've found it for sale online is here on Jamieson and Smith's website). It's a short booklet, only 56 pages, and doesn't contain everything in the exhibition (or have any patterns in it) but it's well worth the £12 it costs. In her comment on yesterday's post Ginny Jones (very helpfully) put up the link to Kate Davies post about this exhibition (Here) which is worth reading because it's excellent, and as a bonus has pictures of some garments that I don't think were in this years show (though I could be wrong about that, it's surprising how different textiles can look on camera compared to life). 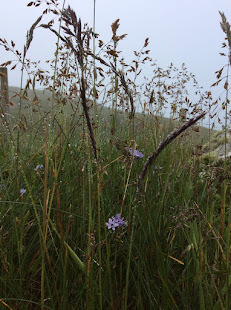 It all reinforces my excitement about what I saw on Whalsay. 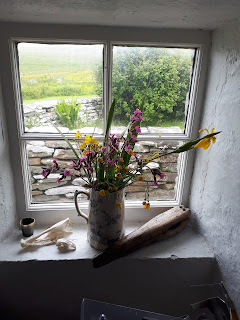 'Fair Isle' has become something of a catch all term, and though I've heard there are people on Fair Isle itself who find it a bit annoying and hold that only Fairisles from Fair Isle are the real deal, it's never much bothered me before. After Whalsay it does, because my understanding of Shetland knitting has changed. Until now I was familiar with what I suppose are best described as stereotypical garments in either natural sheep shades, or in the reds, blues, and yellows produced by natural dyes. There are several very beautiful examples in the museum collection. They're combinations that remain popular and are familiar from dozens of period dramas. In my innocence I thought that this was more or less representative of the work being produced across Shetland both for sale, and to wear, especially in the 1920's and 30's, even though theoretically I knew about the range of chemical dyes available, that Wool by this time generally went south to be processed before coming back as yarn, and that women were buying yarn rather than spinning it themselves as a matter of course. I hadn't thought about interlocking patterns at all, associating them more with Scandinavian design and assuming that they appeared later - I was wrong. Whalsay clearly had its own style distinct from 'Fair Isle', it deserves its own fame. The next question is how many other distinct reagional variations are there? There are a couple of things I'm taking from this, the first being that there needs to be a much bigger, dedicated, exhibition space in Shetland that really tells the story of the islands knitwear, and that explores local differences (or schools of patterns, motifs, and colours). The existing museums do an excellent job with the space they have available but it's nowhere near enough. There's some terrifically exciting stuff here that arguably functions as art (as well as craft and fashion) and it deserves to be properly assessed and celebrated. 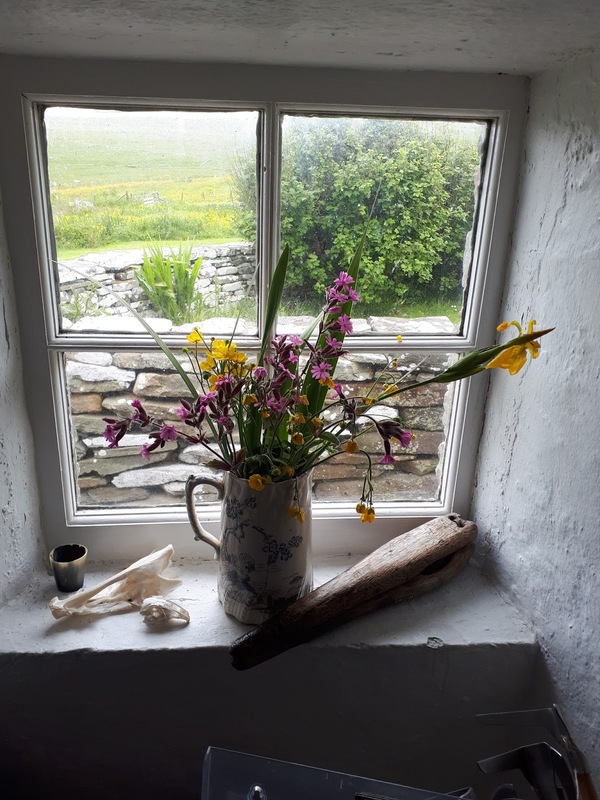 Secondly there desperately needs to be an accesable catalogue, either digital or in a book, that comprehensively records not just the official museum collection, but also the pieces held by various local heritage centres, and in private hands - if people can be persuaded to share. 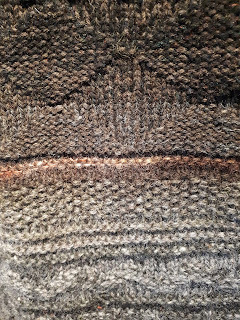 There's a tremendous history of creativity here - something that's really great about the 'Whalsay' book is that the knitters and often the wearers of these garments are known - and it should be shouted from the rooftops. Meanwhile this is the book we have, and it's not to be sniffed at. Page 53, showing a collection of contemporary yoke jumpers knitted by girls as young as 10 (they're amazing) shows that this incredible tradition of creativity is alive and well. 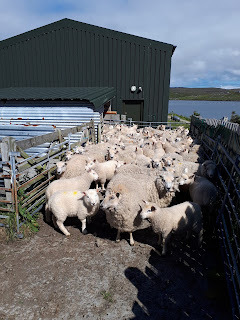 I had fully intended to write a post about the Catalogue for the Whalsay Fair Isle Knitting Through the Decades exhibition tonight but I got distracted by the big box of yarn I posted a week ago (back in Shetland) finally arriving, and Nigella Lawson's 'Feast'. A friend produced an absolutely wonderful red kidney bean dip pre dinner a couple of weeks ago, which was a revelation to me because I don't normally care for kidney beans. I begged the recipe only to be told it was in 'Feast', which I have. I made it tonight and it was just as good as remembered (the mix of cumin, coriander, cinnamon, and coffee smells - the last not actually in the dip - has made my kitchen smell great). Whilst I was at it I thought I ought to have a good look through 'Feast' to see what else I had forgotten or failed to notice in the past. Lots it seems, so I won't make a list, but it was also a reminder of why I really like Nigella's books. It's full of quick and easy things, some so simple they hardly deserve the title 'recipe' but are exactly the sort of helpful suggestion you want to make things easy from time to time. Balancing those are the full on showstoppers that involve a bit more than an M&S meringue nest, some pomegranate seeds, and a bit of cream - but which are never intimidating, and always reliable. I tend to overlook my older cookbooks so it was good to get reacquainted with one of them. The yarn apparently took the scenic route from Shetland, taking a very long time to get from the village post office to its next recorded destination in Aberdeen, but finally on Monday (I posted it on Wednesday last and was getting anxious) it started to move again. It arrived in Leicester today, almost made it to my flat, but I was working, so it got diverted to a mystery post office. This is allegedly my closest post office. It isn't, but the much closer ones don't take parcels (I can't tell you how much I miss the callers office in town). Unfortunately the delivery man's instructions were cryptic. The post office he indicated closed some time ago, the postcodes he put down for both myself and the mystery post office were indecipherable, but as far as I could make out both incomplete and incorrect. R very kindly agreed to go on a trip across town and into a maze of streets in a not particularly nice neighbourhood to help me try and find the parcel. We found the defunct post office, asked directions in a nearby hairdressers, who sort of sent us in the right direction but gave us the wrong name, consulted google (unhelpful), asked another passer by, found a post office, (3 streets away) which luckily turned out to be the one we wanted, and got my parcel with minutes to spare before closing. 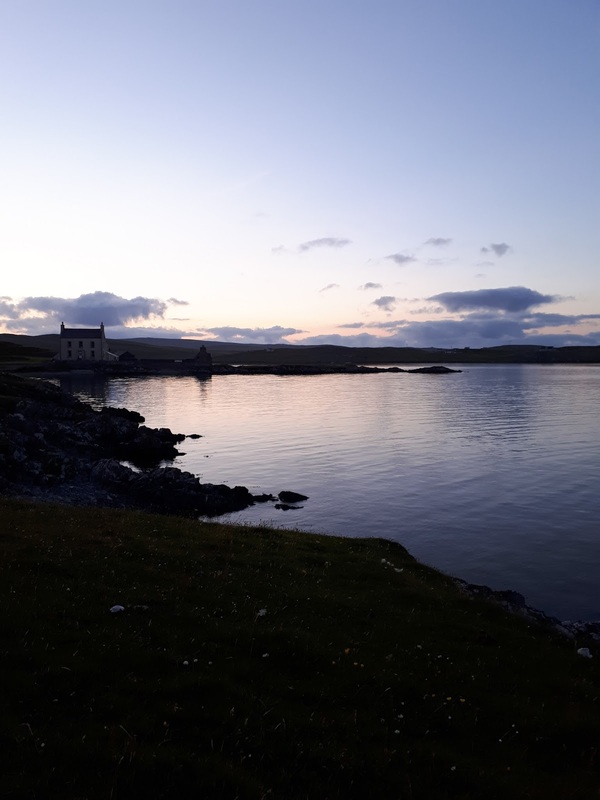 I was cross with myself when I came back from Shetland last year for missing what everyone said was a brilliant exhibition on the island of Whalsay documenting Fair Isle Knitting through the decades In the heritage centre. Luckily it was so popular that the heritage centre decided to extend it for another year, and publish a small book about it. 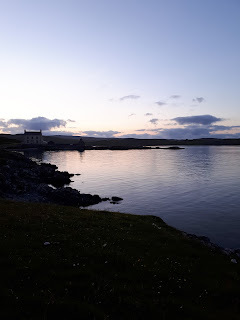 I'd never been to Whalsay before, so there was all the fun of working out where the ferry went from, when the heritage centre would be open (4 afternoons a week for 3 hours) and then making sense of the ferry timetable. 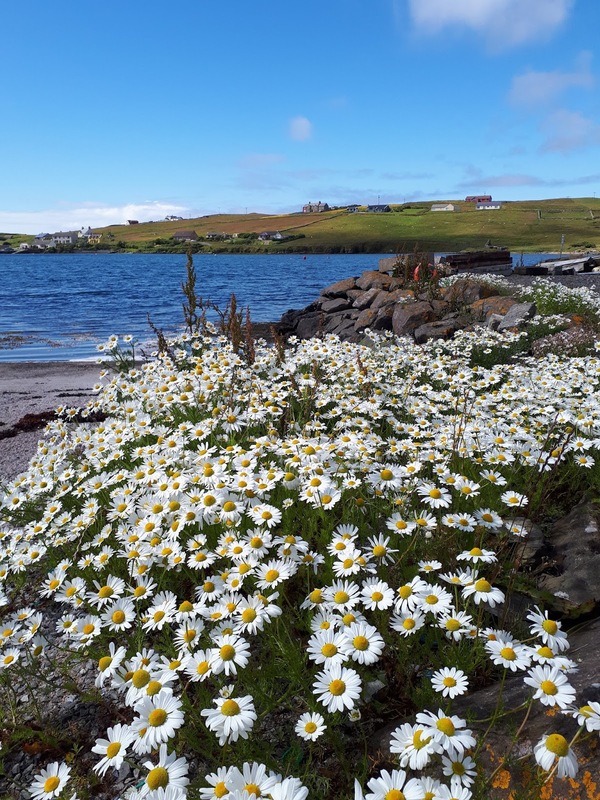 Whalsay also has a restored Hanseatic böd (the poet Hugh MacDiarmid lived on the island for a while too) on the shore not far from where the ferry docks, or the heritage centre - convenient. Our first stop was the Böd. 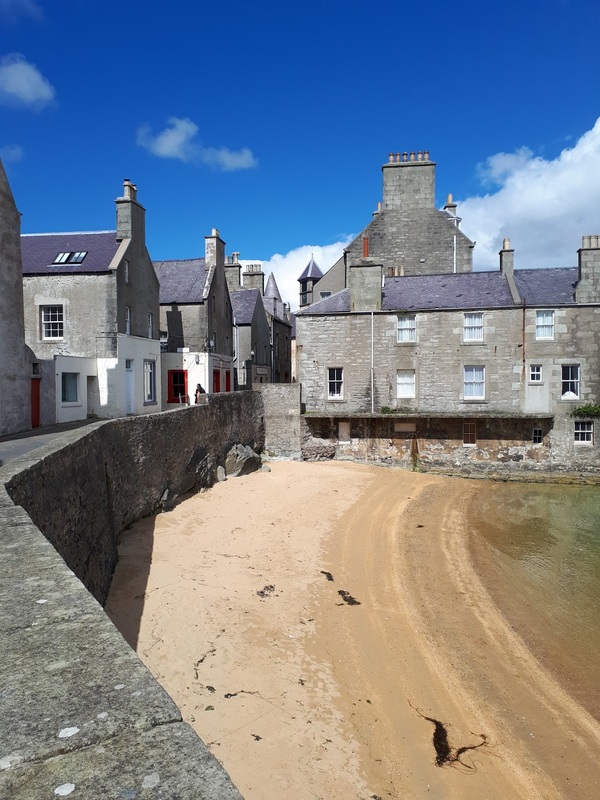 I knew the Hansa had been active in Shetland, but I'd never really appreciated how active - a road behind Pier house was known as Bremen Strasse for many years - or how influential they must have been. I didn't know there had been so much piracy in and around the islands either, so it was all thoroughly exciting. 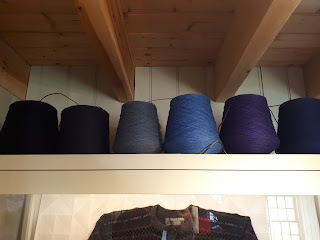 I was so excited by the actual knitwear that I forgot to check if the heritage centre is run by volenteers (I think it is) or to ask how they came by their collection. I have the feeling that many pieces might only have been lent. All of them had family histories attached. My interest in traditional Shetland knitting has been growing for years, not because the style is particularly unique - photographs from Eastonia showing very similar designs, and the appropriation of Norwegian stars into post war designs alone show that ideas and motifs have been exchanged and refined for a very long time. To me these kind of international links are one of the things that make it so interesting. What is unique are the design decisions made by individual knitters, and the more of these pieces I see, the clearer it is that this is art as well as craft. The great thing about the Whalsay exhibition is that it's full of things that were knitted for family members rather than for sale. They're made from the yarn that was available to buy, so most of the jumpers from the 1920's and 1930's here are actually knitted in Rayon (they're quite slinky, and all for men who must have looked utterly splendid in them) which is probably one reason they've survived as well as they have (do moths like rayon as much as they like Wool?). They don't look anything like the golfing jumpers the Prince of Wales made so popular, but they are stunning. 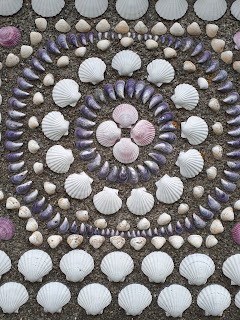 These patterns often weren't written down, although later on girls definatley collected motifs from their friends, and the complexity of them is something to behold, as is the constant evolution of style in line with changing fashions. I cannot recommend this exhibition highly enough to anyone who will be in Shetland this summer. 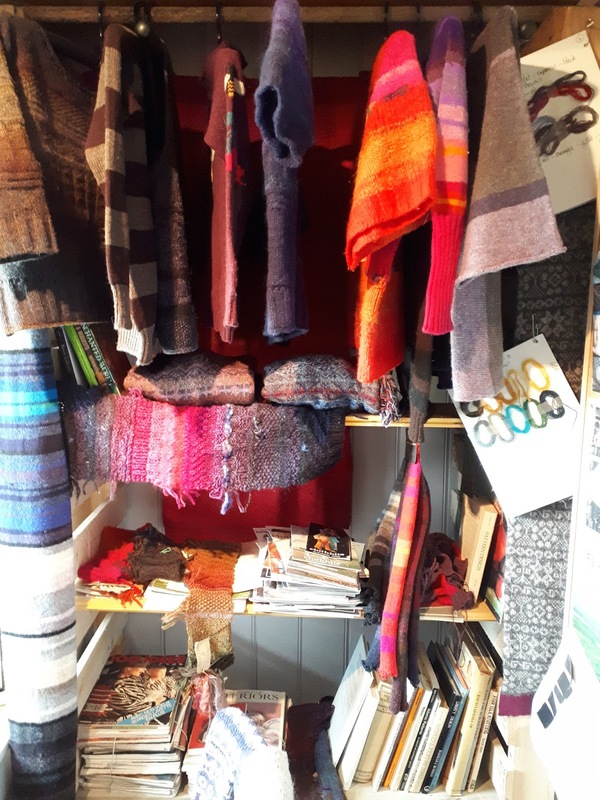 There's so much information to take in, the ladies in the heritage centre are brilliant with so much knowledge to share, and it's beautiful knitwear. Or where you get to see some of my holiday pictures. I got back to Leicester this afternoon with very mixed feelings. I could have done with another month (at least) away to catch up with everybody and everything I wanted to. 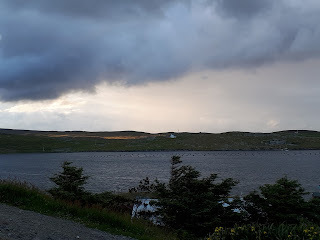 I'm a bit disconcerted by the realisation that it will definitely get dark tonight rather than just a few hours of twilight, there's a mountain of washing to deal with, and I really would like to see a lot more of my dad (and the rest of the family too). My holiday day is almost over, I'm not looking forward to going back to work - not least because I've been so busy doing so many nice things here that I could do with a lazy week to recover. One of the many great things about Shetland is it's wildlife; we've seen puffins, porpoises, gannets, seals, the lawn is covered in oystercatchers, terns have dive bombed us, as have skuas, and there have been a lot of otters. 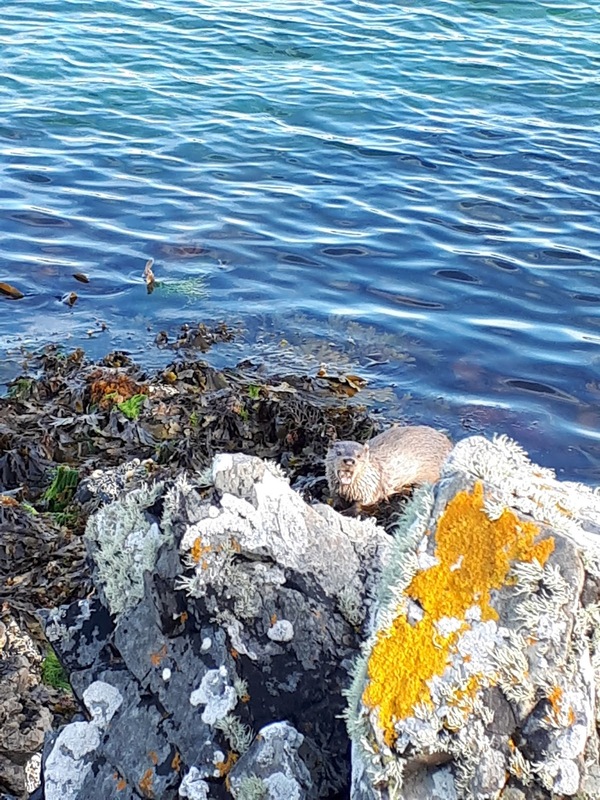 More particularly there's been a lot of one otter who has reliably appeared between tides and at dusk. It looks to me like a young female, she has a distinctive pink patch on her nose and is a joy to watch. 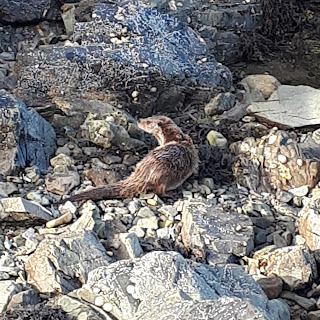 Shetland is a brilliant place to spot otters - walk by the shore keeping an eye out for spraint, empty crab shells and sea urchins; likely otter food. Ideally if you spot one hope you find yourself upwind and not silhouetted against the sky - their eyesight is poor so they rely on their sense of smell. If this is the case stay still and they might not notice you. 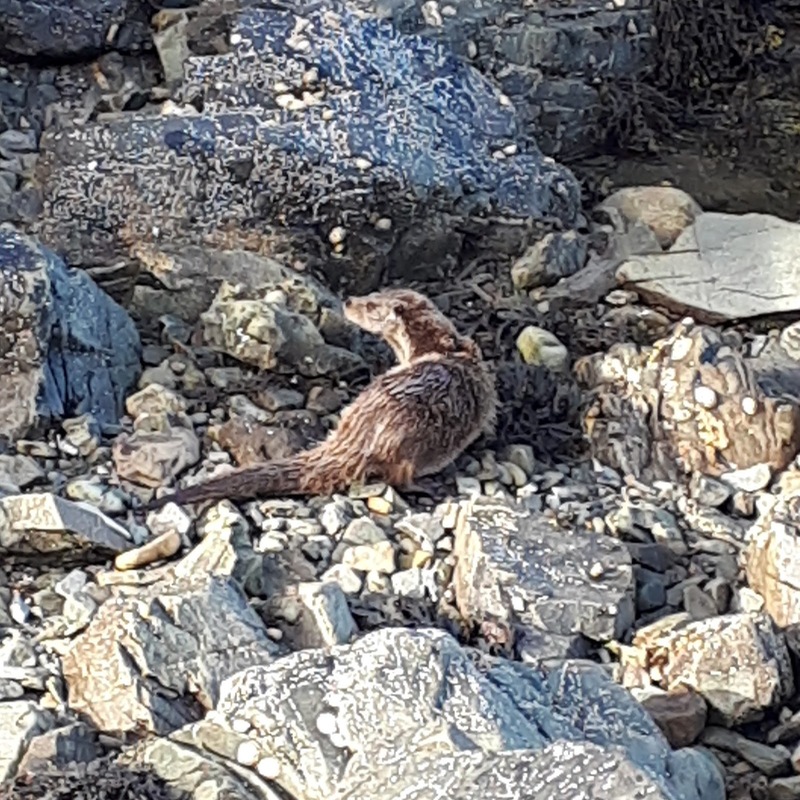 I spent a good 45 minutes watching my otter yesterday before she got downwind of me and swam off. 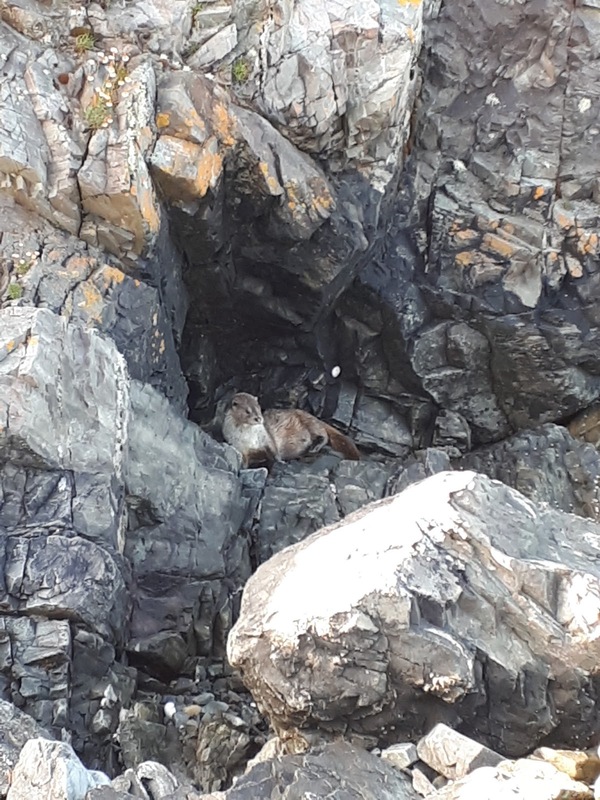 As I was in an undignified as well as uncomfortable position I wasn't altogether sorry to be able to move, but hadn't wanted to disturb the important otter business of eating and fluffing up fur. The photos aren't great because mobile phones have severe limitations, but it's the best chance I've ever had to try and take any pictures, and it amazing just to be able to watch her for a while. They're enchanting creatures. 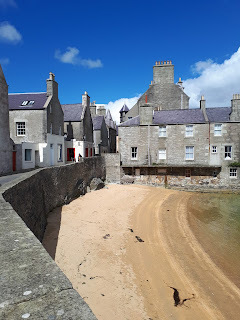 It's difficult blogging on holiday, every time I look out of the window I get distracted, never mind the people to catch up with, walks to go on, exhibitions to see, dogs to commune with, and all the rest of it. I want to write about this one whilst it's fresh in my mind (though I'm planning on seeing it again before I go). Victoria Gibson's distinctive knitwear is easy to take for granted if you've always been familiar with it so now is absolutely the right time for an exhibition to really evaluate her work. Shetlands Textile Museum (at the Böd of Gremista, just on the way into Lerwick) is quite small (more space for exhibiting objects would be great, though they do a brilliant job with what they have, and the very knowledgeable volunteers on hand to answer questions and give practical demonstrations are amazing). It means there's only really one room for this exhibition which makes what they've managed to do even more impressive. Seeing a row of Victoria's jumpers in a shop is quite impressive - her designs are big on colour and texture. Seeing her knitwear in a gallery setting does it justice, especially when you can follow its evolution over five decades. From the early striped jumpers in earthy tones for Cloth Kits (some self assembly required) and bright rainbow colours of the seventies, to the signature designs that focus on graduating colours and textures, it's really interesting to see the work evolving. Over the years I've had a few of the checked jumpers. 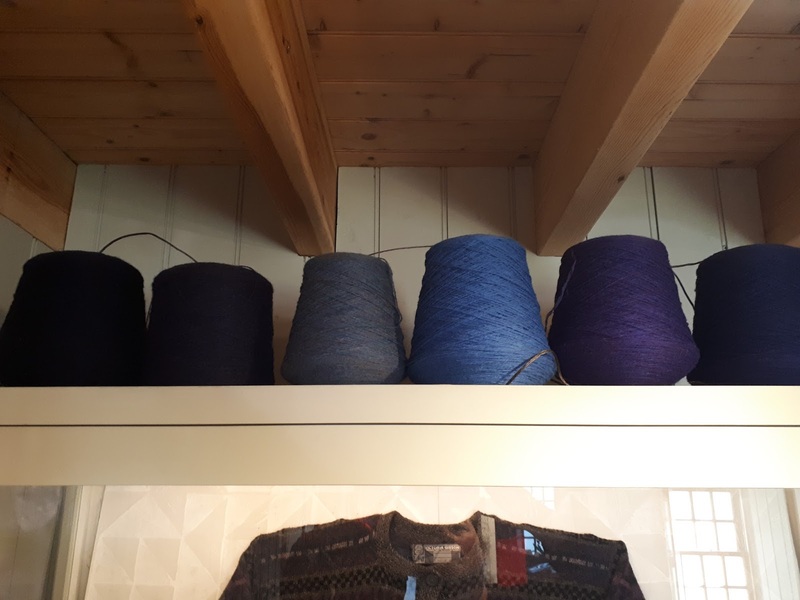 I like the way they explore how shades quite close together on the colour spectrum work together (the volunteer I spoke to at the museum, an experianced knitter, was saying she'd never think, or dare, to use colours in the same way). 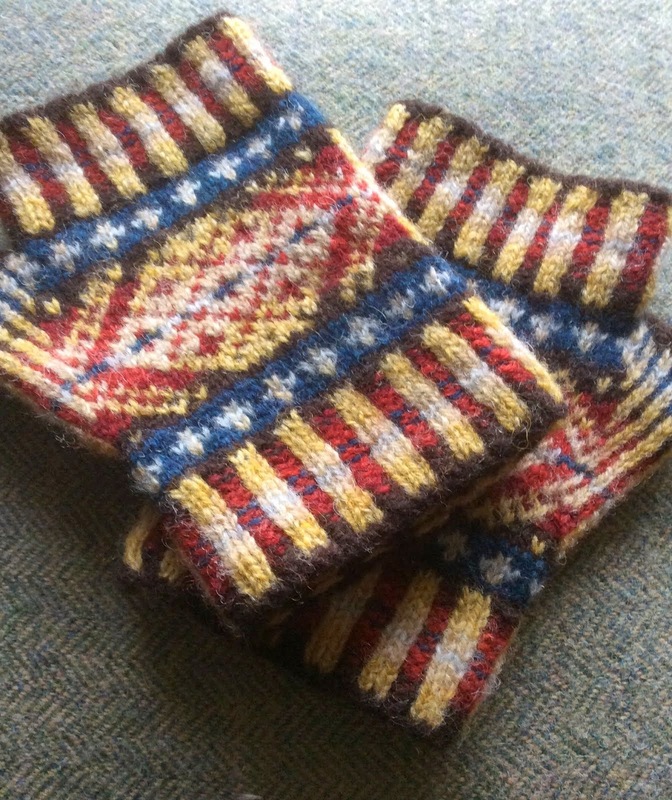 I also like the way that there's a nod to Fair Isle patterns (2 colours in each row, limited stitches between colour changes) though these ones also make me think of tweed. The textured jumpers take this a step further. 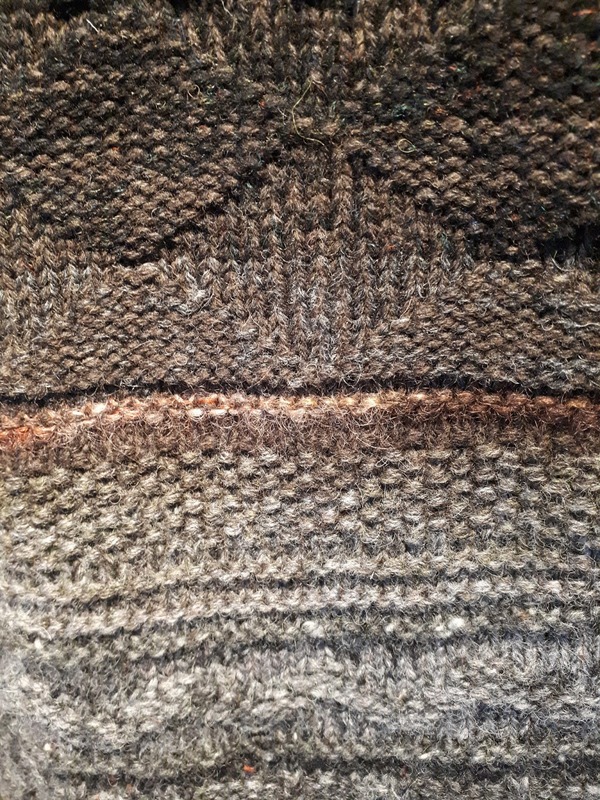 The patterns created using different stitches are another nod to Fair Isle, the subtle graduations in colour are often suggestive of the Shetland landscape, but more than that it just feels like there's a real pleasure in exploring how these things work together. The finished articles make it look effortless, but it isn't. 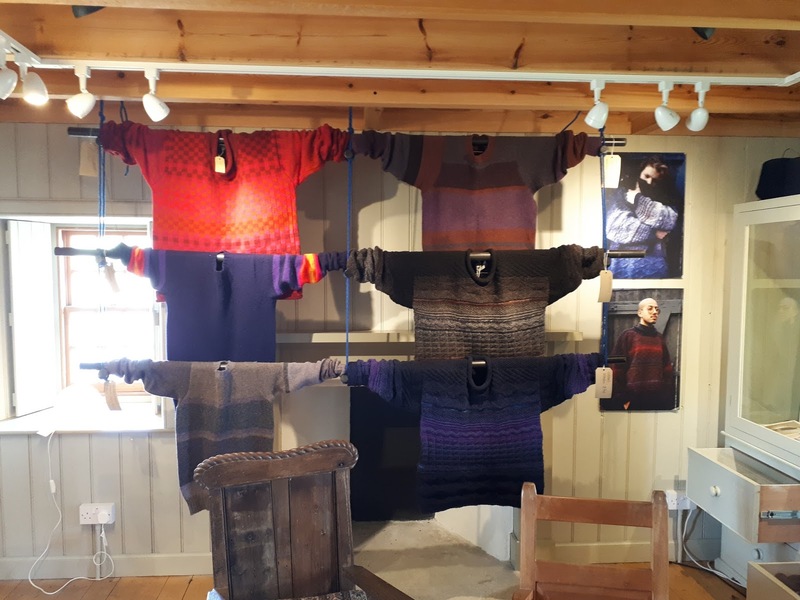 Seeing the exhibition gives some idea of the creative process behind the clothes, as well as being a reminder that it's a process that involves any number of knitters. It's an excellent exhibition and should be a must see for anyone in Shetland this summer. 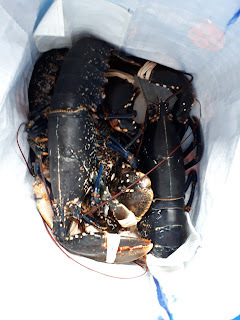 I'm very pleased to be hosting a guest post today from Martin Edwards to celebrate the publication of 'The Story of Classic Crime in 100 Books'. It's an excellent book (which I'm now equally pleased I didn't bring on holiday with me because my luggage is still 'Destination Unknown'). I will write more about it when I get home, but promise it's worth seeking out if you have even the most passing interest in classic crime. In uncertain times, classic crime stories offer both escapism and entertainment. But the best of them give readers much more – interesting characters, thought-provoking moral dilemmas, fascinating description of period and place, as well as a good deal of high-calibre writing. Detective stories have often been under-valued – even some authors tended to be dismissive of their own work. But the striking success of the British Library’s series of Classic Crime reissues speaks for itself. 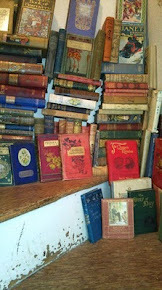 Readers in this country and much further afield have discovered for themselves the pleasure of reading long-neglected authors such as John Bude and Raymond Postgate. And they keep coming back for more. The Story of Classic Crime in 100 Books is my second book about the crime genre. 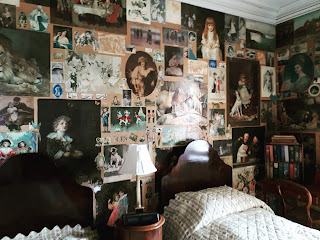 The Golden Age of Murder explored the Detection Club, founded in 1930, the people who were prime movers in the Club, the books they wrote, and the way the times in which they lived affected their lives and their work. It was a book for fans, rather than academics, and encouraged by its reception, I’ve again tried to give a fresh take on the genre’s history. This time, my aim is to show how crime fiction changed from the start of the twentieth century, when Sherlock Holmes tracked down The Hound of the Baskervilles, to the century’s mid-point, when in the aftermath of the Second World War, Julian Symons and Patricia Highsmith set about taking the genre in a new direction. 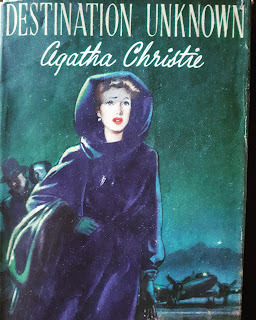 Part of the fun of this type of book, both for me as writer, and (I hope) for you as readers comes from unexpected twists –just like the mysteries I examine in the text. So my selection of 100 books contains not just the usual suspects, ranging from The Hound of the Baskervilles to The Poisoned Chocolates Case, The Murder at the Vicarage, and Smallbone Deceased, but also some titles that aren’t likely to have crossed most people’s minds. The Division Bell Mystery by Ellen Wilkinson, and Death on the Down Beat by Sebastian Farr, for instance. There are a few quirky choices which may provoke surprise, and also give a different perspective on the subject from any that can be found elsewhere. And as well as the hundred in-depth discussions, there are references to about another six hundred books, many of which are little-known but well worth seeking out. You may be relieved to learn that there’s an index of titles, as well as of authors! When I first proposed this project to the British Library, I envisaged a manuscript of about 60,000 words. But the more I worked on the book, the more it grew in scale. I like to think this isn’t due to verbosity on my part, but because I found so many fascinating books and snippets of information to weave into the narrative. My previous book about the genre, The Golden Age of Murder, was a labour of love ten years in the making. This one didn’t take quite as long to write, but I found it just as much fun. And I hope you will too. I'm enjoying my annual trip home to Shetland (unfortunately my luggage is not, and shows no sign so far of turning up, I last saw it on Saturday). 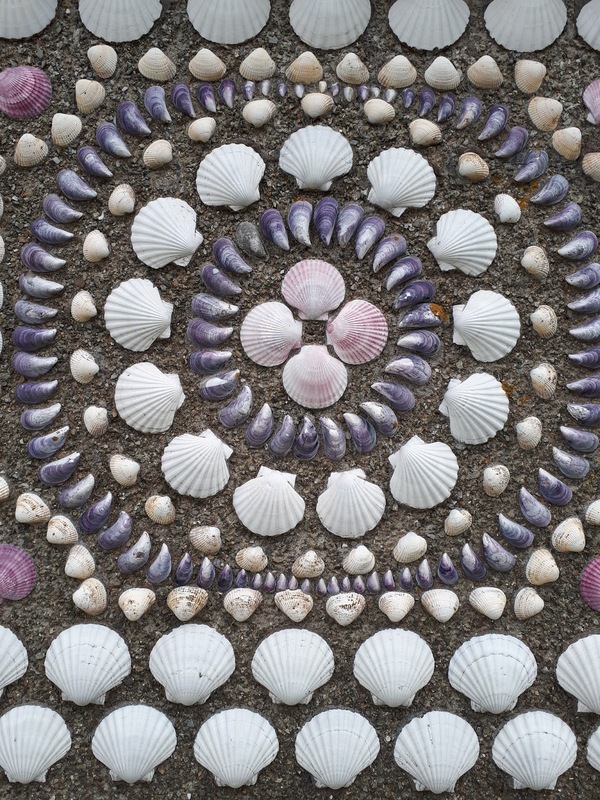 The weather is occasionally glorious, I've had the chance to buy some yarn and an interesting looking book (as well as the basics currently lost in transit), and eaten an amazing bean dip (must get the recipe), so despite the lack of suitcase its all good. It doesn't hurt that I was able to buy gin by the litre at the airport (hand baggage). 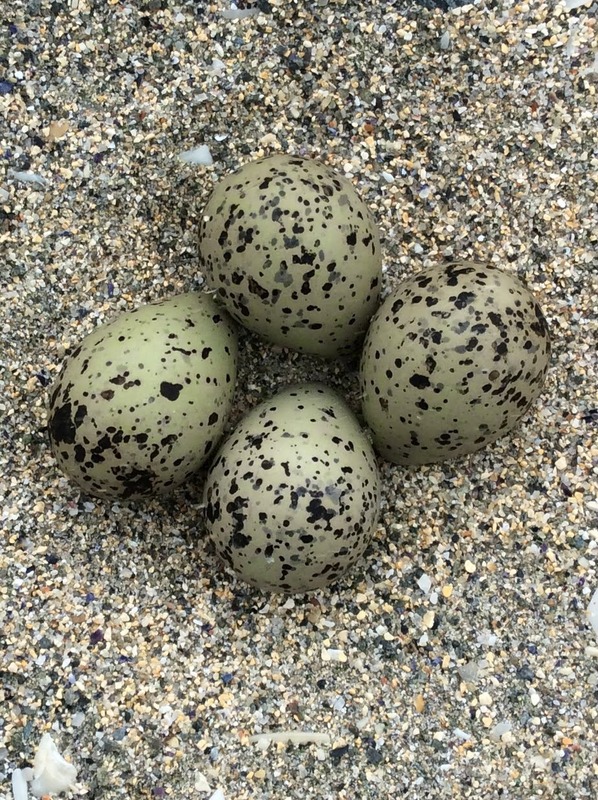 Also hand baggage was dad's Father's Day/birthday present, a Curlew's egg painted in egg tempera by Anna Koska. I was delighted with this (the first thing I've ever commissioned) and Dad seems to like it too - which I guess is what counts. 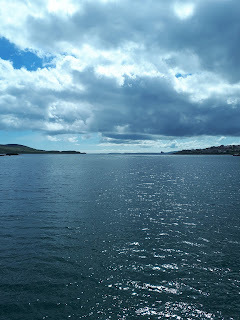 There are lots of curlews round here, their call is one of the distinctive sounds of home, and dad's also had a succession of boats called 'Curlew' so it seemed an appropriate thing to choose. There's something really satisfying about getting a bespoke thing like this, it's not particularly that it's currently unique, but the involvement in the general process (describing what you want) is fun, and getting exactly what you wanted is really exciting. It feels altogether more personal.